Brock Makaric is second subject, and like Chris before him, Brock was an original member of the Army Ants first U19 team! Brock was a great player for Army Ants, and while he decided against continuing his lacrosse career after high school, I think he ended up in a pretty good spot as you will see below! Q: How many years did you play for Coalition Lacrosse and for what teams? -I only played for one year and it was for the played for the Army Ants U19 team in its first year of existence (summer ’12). Q: What initially drew you to the Coalition program? -I was heading into the summer before my senior year of high school and looking to play in college. After talking with my high school coach, he recommended that my friends and I try out for Coalition. He was then able to put us into contact with Coach Gafner and everything worked out well from there. Q: Where did you choose to go to college and why? What can you tell us about your experience there? 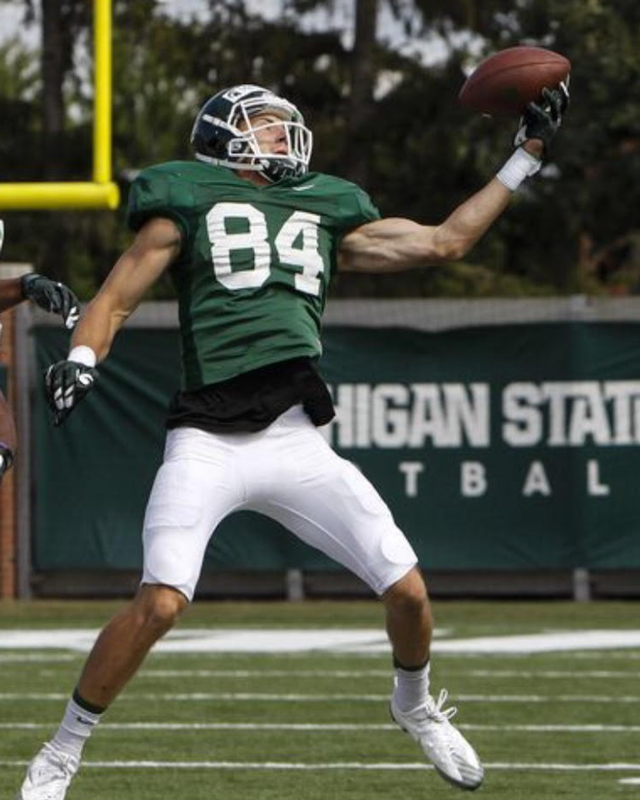 -I actually chose to attend Michigan State and play football. I thought I was set on playing lacrosse until this opportunity came along that I couldn’t pass up. I enrolled in classes the summer before my freshman year and graduated from undergrad in 2017. My college experience was great. It was tough early on, but I learned quickly how to balance academics with football as well as some semblance of a social life. It was stressful at times, but my experience taught me valuable life lessons that will extend far beyond MSU. Q: Do you have a memorable/favorite moment from playing at MSU? -The most memorable moment was winning the Rose Bowl. It was the 100th game and the way we won was awesome. The other bowl games we went to were really memorable as well. 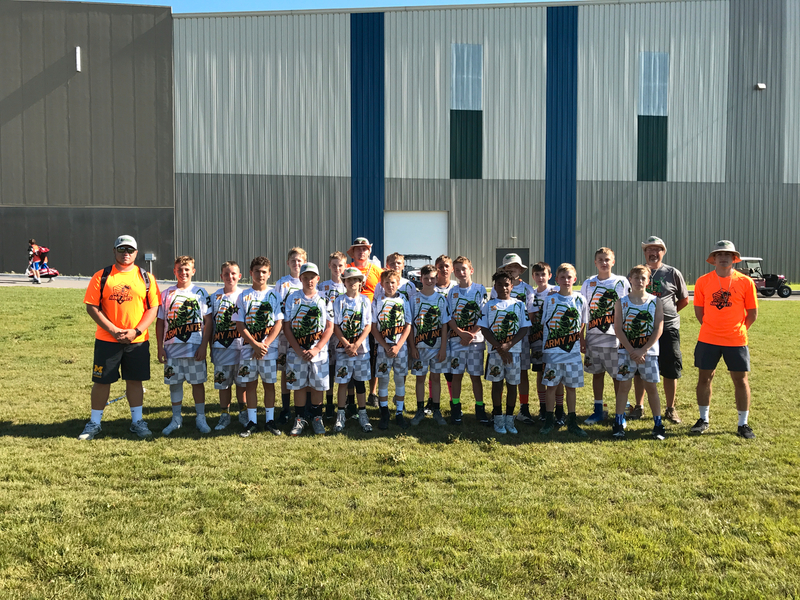 Q: How did Coalition Lacrosse help you along the way? -The Coalition program helped me a ton personally, athletically and socially. 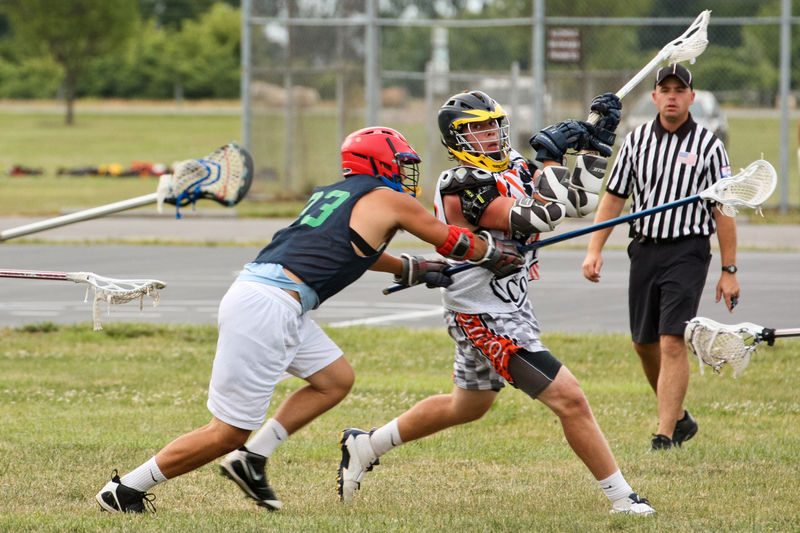 As a lacrosse player, I felt greatly improved throughout the summer. Coach Gafner was able to give me constant feedback, whether it was in practice or at a tournament. As an athlete, I was pushed to work hard and have confidence in my abilities. 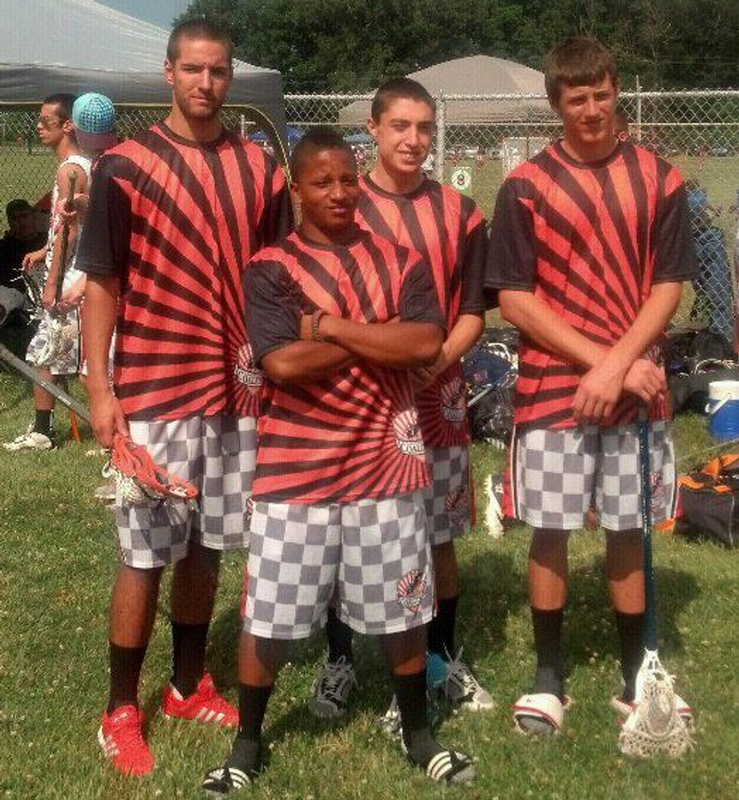 By the end of the summer, I was a confident lacrosse player and a leader. Lastly, it helped me grow socially. I only knew three other kids on my team at the beginning of the summer. As the summer wore on, I became friends with everyone on the team. Many of those guys I still keep in touch with to this day. The coaches did a great job of bringing together a bunch of athletes from many different schools. Q: If you could give a piece of advice to a current Coalition member, what would it be? -Don’t take any practice or tournament for granted. The summer flies by and I miss being around the team. Every practice is a chance to focus on specific skills and every tournament is a chance to improve as a team and player due to the high competition level. It’s also a great time to be with friends, so don’t throw it away. Q: Fill us in about your current situation. What are you up to now? -I am currently finishing up my grad program in Human Resource management at MSU. I only have class a couple days a week which has allowed me to go back to Heritage [high school] and help coach the football team this past fall. Now that the season is over, I have also been training local athletes. This past summer I interned with Honeywell Aerospace in Phoenix, AZ. When I finish my degree in May, I will be going back to Honeywell in their Safety and Productivity Solutions Business. Q: In general, what has Coalition Lacrosse meant to you from your playing days to now? Do you keep in touch with any of your former teammates? 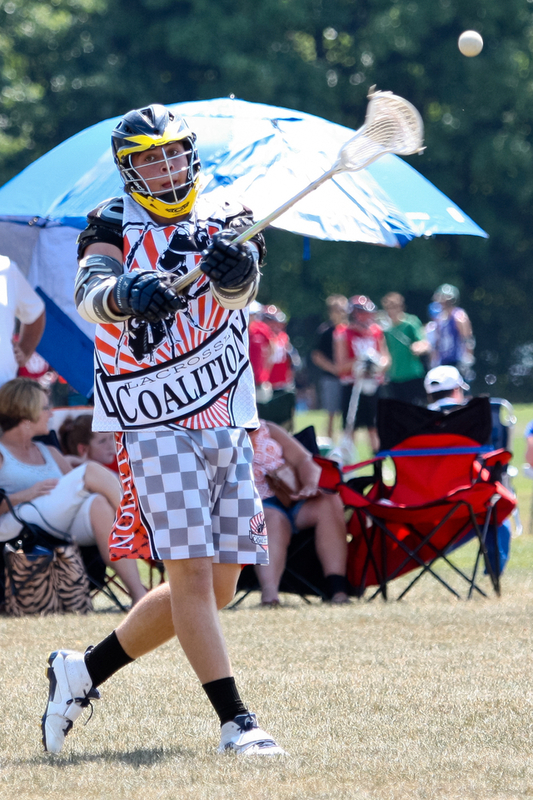 -Coalition lacrosse was a great experience. I was able to play with top talent and grow tremendously as a player and athlete. Being from out of town, I met so many different teammates and families who are now considered friends/family of my own. Q: Along those lines, do you have any memorable/favorite moments from playing with the Army Ants? -I remember all of the tournaments, but not necessarily the games. The times the team had in between the games was the best. We would hang out at the tent or walk around and watch other games. Then when we got back to the hotel, we always had a great time. We spent a lot of time at the pool or the one hotel had a ping pong table Coach [Gafner] and I battled at! In addition to the athlete spotlight, we are also going to introduce a reflection piece from Coach Gafner on each athlete. Q: Coach Gafner, what was your first thought about Brock as a lacrosse player? As a person? -Brock was tall and in shape. His stick skills for that time were good but his shot was off. He played great defense, so I was excited to have a good two-way middie. As the summer went on, I realized that Brock was a better athlete than I thought. He could do a lot of good things, but I wanted to build his confidence so he could be a beast of a dodger. After the first tournament we worked on his dodging and he took the coaching so well. It was almost as if he became a great dodger just like that. He was our main dodger after that, and if the slide didn’t come quick enough he got a lot of shots off. Our offense improved tremendously because he was a great feeder off that dodge as well. As a person, he was quiet and shy, but Coach McGuire and I got a chance to know Brock and his 3 Saginaw buddies at our first tournament. We had a blast. Those four guys were just like Coach McGuire and my friends from high school. There were just out to have a great time and enjoy life. Brock and myself got into some intense ping pong games as he was the only player I remember that first year that had any kind of game on the ping pong table. Q: Coach Gafner, looking back on Brock’s journey with Coalition, what other memorable moments come to mind? -I remember playing football at a practice. Coach McGuire and I were captains and both wanted Brock as we are extremely competitive. I’m not a very good quarterback, but I felt like I was throwing the ball to Calvin Johnson that day. Anything I tossed up, he caught it and ended up winning the game for us at practice. This was the first time the players got a taste of our own competitive spirit and I think it brought some of that out in them. Keeping in touch and being supportive to Brock during college was also fun. I’m a Michigan fan but when MSU won the Big Ten Championship and I saw Brock with the trophy, I was a proud coach. He was part of something special and no one can take that experience from him. 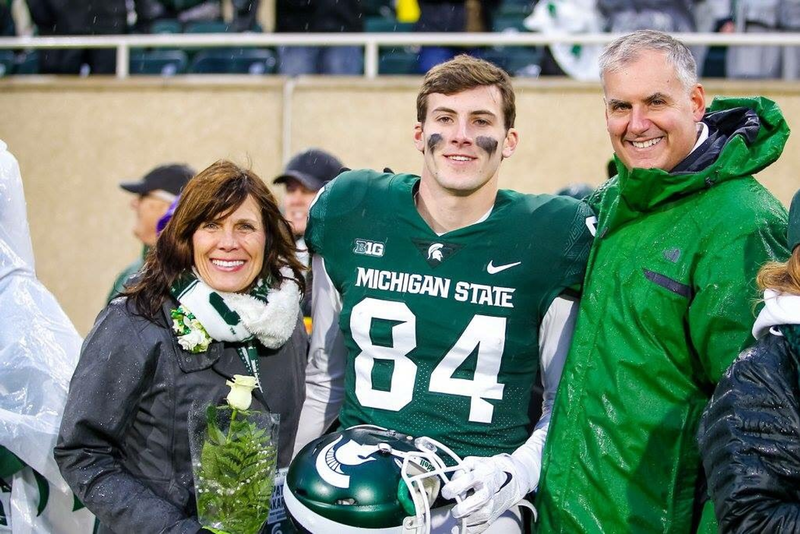 I would get texts from Brock’s summer teammates of Brock warming up for his MSU games and even heard he saw one of his summer teammates after that Big Ten title game. What a cool experience for all of them. Q: Coach Gafner, any last thoughts on Brock that we missed? -Brock is a great person with great values and I’ve been excited to follow his journey. He learned a lot from being on the MSU football team just like I hope we helped his development playing Coalition Lacrosse. It will be great to stay in touch and see how successful he will become. Chris Griffin is our initial subject, and fittingly an original member of the Army Ants first U19 team! Chris was a fantastic player for us who also returned to coach once his collegiate playing days were finished. He was a fantastic player, dedicated coach, and has been great ambassador for the program as we have grown. He was also a pleasure to interview and catch up with! Enjoy! -I played for the Army Ants U19 team in its first year of existence (summer ’12). I was a rising senior looking to get recruited for lacrosse. Q: Have you played lacrosse your whole life? -I didn’t start until 6th grade. My mom got me to go to a clinic (I previously only played soccer and baseball), and was hooked from then on. -I chose Calvin College in Grand Rapids, MI as it offered a 4-year engineering program as well as the chance to continue playing lacrosse. The recruiting process was a difficult one though as many Midwest colleges are liberal arts schools that only offer 3-2 programs. 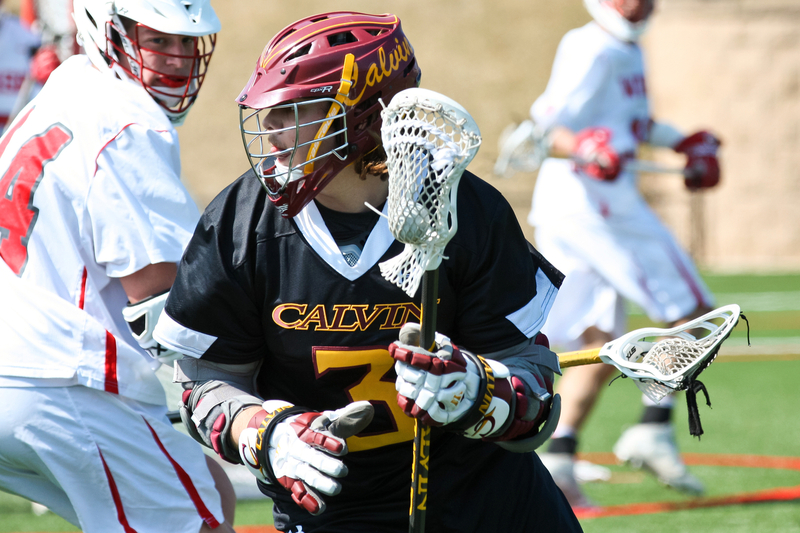 Calvin is an ABET accredited engineering program and also a member of the NCAA’s Division 3 men’s lacrosse so it was the best of both worlds. 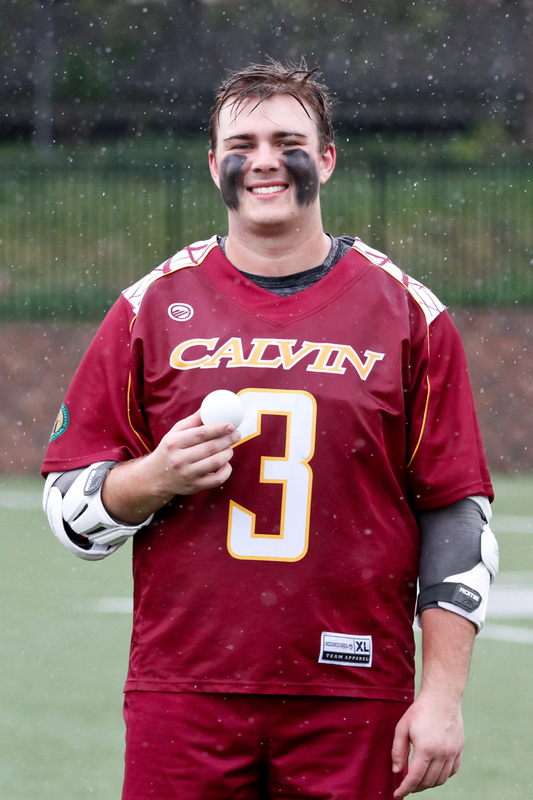 Q: How was your experience playing collegiate lacrosse? -I was a 3-year captain beginning my sophomore year. I came to Calvin knowing it was going to be a building process and it definitely was. We had very small numbers throughout my career, even playing most of my sophomore year with only 15 guys. Our best season was my junior year when we finished 6-10. However, there is a great coaching staff in place and solid foundation. I feel confident Calvin is on its way to many successful seasons. Q: What teams did you coach for Coalition? How was that experience? -I began coaching for Coalition after my freshman year at Calvin, beginning with the U18 kids. As we moved forward and the program continued to grow, I also coached the U14, U15, and U17 teams at various points. I loved coaching for a program that I was able to play for, especially with such a unique coaching staff that shares such a high level of passion about the game of lacrosse. Q: Being on both sides, which do you think you got more out of, coaching or playing for Coalition? -That’s a tough question as both have had a tremendous impact on where I am today. I loved playing, and that helped get me to Calvin and where I am today. It was also great to meet new people and make friends with guys from other schools. However, I think coaching was the most fulfilling as it was so cool to give back and mentor some of the young guys coming through the program. I felt I could make more of an impact in that regard than I ever could playing. It was also great to network with other coaches and programs. I live in Grand Rapids and work for Edge-Sweets. Edge-Sweets is a custom capital equipment manufacturing company that specializes in foam-cutting saws and polyurethane dispensing and mixing equipment. I work in the PU dispensing group and am really enjoying myself. I have seen a lot of cool applications and am always working on something different. Q: Did you always want to be an engineer? Is it what you thought it would be? -My dad was a mechanical engineer as well, so you could say that. I worked on dirt bikes as a kid and really wanted to understand how things work so we were always working on something. -That’s a tough question. It is and it isn’t. It’s a great job and I knew I would be designing new products and equipment, but I didn’t realize how great it would be to be able to see projects through to completion. It’s even better to have the confidence and knowledge base to know the entire process. We also get to make a ton of custom equipment and cool stuff! Q: Finally, you have such a unique experience being able to see the Coalition program take off from the ground. In your eyes, what has that experience meant? -It’s pretty crazy. In the first year we had two 10x10 tents that we squeezed our gear and some food into. It was only the Army Ants then as well. Now it’s expanded to Blue Crew, Army Ants, and the Painted Turtles. I would have loved to play with the Painted Turtles before college. I wish that Coalition was over on the west side of the state so I could still coach with those guys!